Congregation Kneseth Israel serves a very diverse community spread over a wide geographic area. Our members have their roots either by birth or through conversion in all branches of Judaism: the Orthodox, Conservative, Reform, and Reconstructionist movements. We feel that our unity as Jews transcends these labels and we seek to create a sacred space that accommodates all the people of our community. 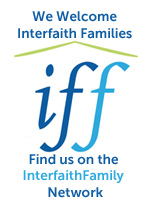 Many of our members are in interfaith relationships. We welcome all who wish to be a part of our community. With a congregation comprised of over 100 families, we welcome new members of all ages and geographic locations. We currently have members from many different suburbs, including Elgin, South Elgin, Dundee, Algonquin, Bartlett, Streamwood, Hoffman Estates, Schaumburg, Hanover Park, Carpentersville, Crystal Lake, St. Charles, Geneva, Batavia, and more! In addition to regular worship services, CKI offers social activities, student and adult educational programs, and social action projects for everyone. Our yearly membership dues and Torah School fee structure is extremely affordable – if you would like more information about joining our congregation or want to consider visiting us and attending a weekly service, please call the Main Office at 847.741.5656.